Discussion in 'The Western Star' started by kuro90, Sep 9, 2018. 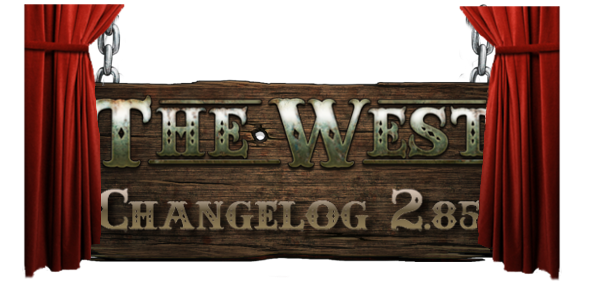 We are currently planning on applying the patch to version 2.85 on Tuesday, September, 11th. Please keep in mind that the date, time and content of the patch are subject to change. The Christmas Questline "Magic World"
From now on the the "Magic world" questline has a time requirement. The questline will be available in December. Because the appearance/tactics skill may indeed affect a player's aim value in a duel in a negative way (decrease of the aim value), we adjusted our ingame skill descriptions accordingly. The questline "Oktoberfest is coming" missed one very important requirement which could cause some issues for players. The travelling fair would always offer the same reward pool on its first day as it did on the last day of the previous fair. The top half of the submit button in the bank transfer window was not clickable. The pretzel icon did not properly appear beside the context menu option to send event currency to your friends.